The core CAR ASYST team consists of three developers and two employees who deal with the tests. Then there is also the scrum master who accompanies the development process. 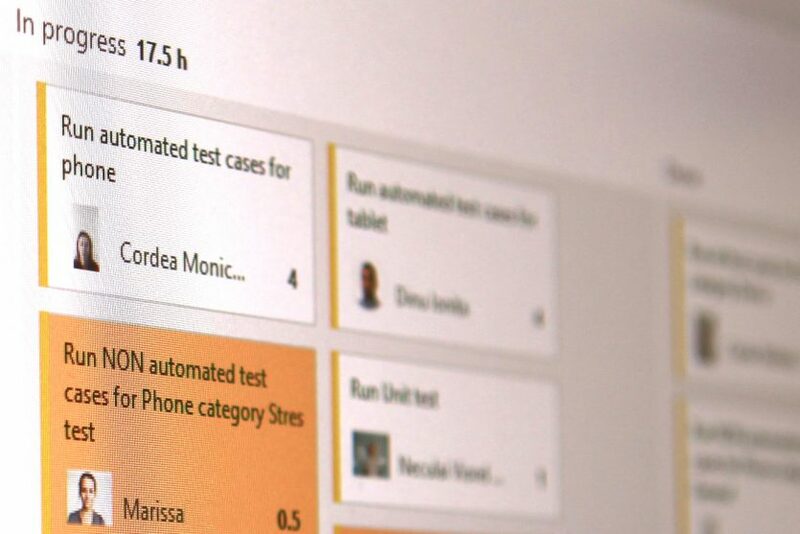 Development is provided with new tasks from the field or from our own ideas pool by Günter, the project lead, and Marissa, the junior project lead. 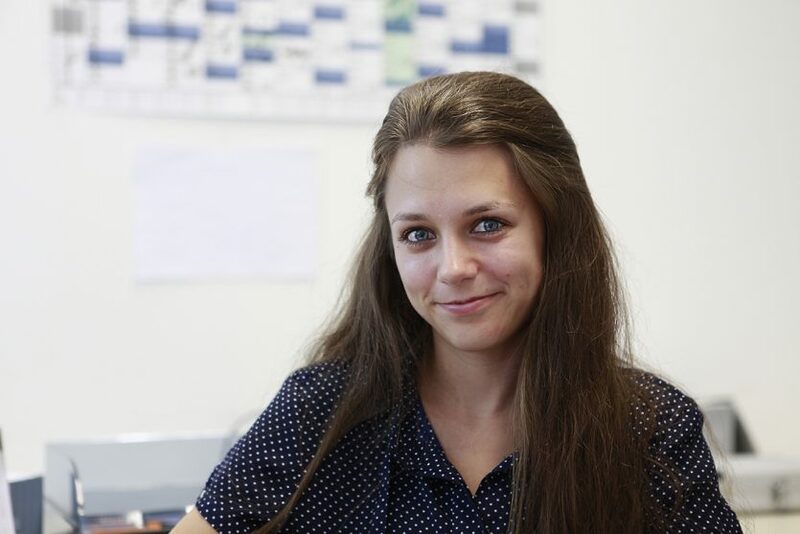 Marissa and Günter, today is July 14 and we are about to launch the new Version 2.5 of the CAR ASYST APP. Could you tell us about the main new features? One of the most important new features is without doubt the support of the new Audi A8 which will be appearing just before our release. But we have also implemented other features from the user sector, including resetting oil change and service intervals. The user can define the required settings with just a few clicks. But we have also extended the app with information from the vehicle, e.g the oil level and the DEF information in the vehicle report, the battery history data in the vehicle functions as well as the vehicle report, and the battery charge status in transport mode. And the vehicle adapter can now simply be chosen on the app start page. What exactly makes the CAR ASYST APP different from a conventional stationary diagnostic system? Apart from the fact that it can be used as a mobile diagnostic system on a smartphone or tablet, such as the ServicePad VAS 601 301 for example, our users tend to mention its incredible speed. 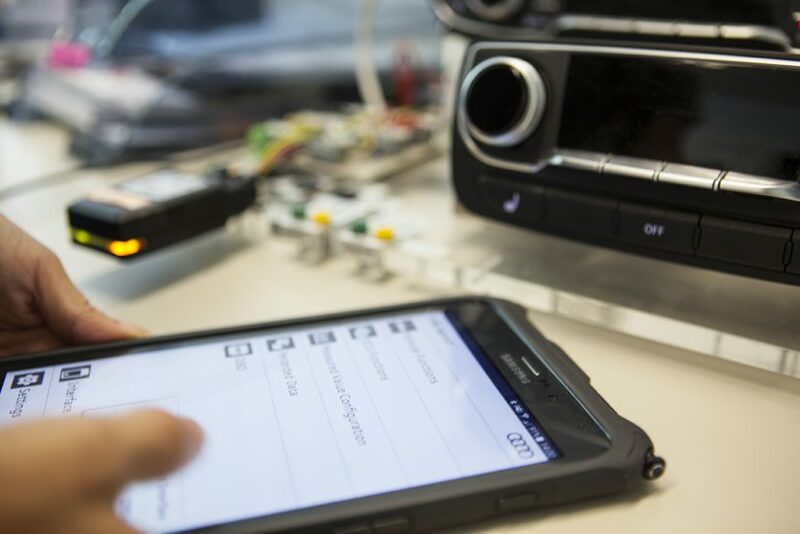 And also the fact that it can be used as a fast tester, complementing the large service testers, is an interesting area of use in the repair shop. This takes the pressure off when a car is brought in: Customers are quickly given an initial estimate of the scope and the time likely to be needed to carry out the repair. Many users also appreciate the possibility of recording errors and measurement values on the road. Once again it is about isolating errors and the causes thereof in the shortest time possible to be able to provide customers virtually immediately with concrete answers and solutions. 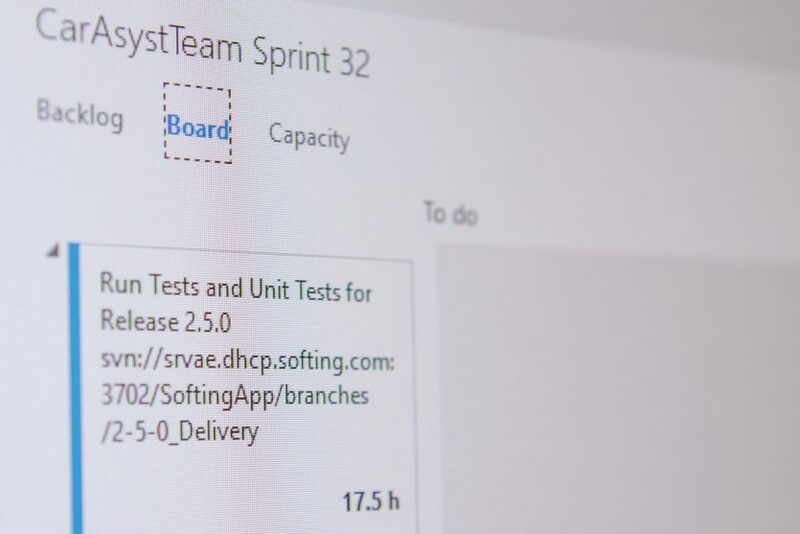 In other words: The CAR ASYST APP is a fast, mobile and handy extension to the large service tester. How important is the customer and user feedback for you? And how is it incorporated in the further development of the CAR ASYST APP? What we are really pleased about is the fact that many of the features named are actually implementations of what users were looking for. We got the feedback from customer surveys and also direct contact with the users. Which vehicles are currently supported by the CAR ASYST APP? Currently the Audi Q7, A4, Q5, Q7 e-tron, A5 and soon the Audi A8 are supported with the CA Adapter (VIN|ING 600) in multi-mirror mode over DoIP. If you then have an activated VAS 5054A VCI, you can use not only all the vehicles mentioned but also the Audi A3, Q2 and TT in single CAN mode. What are your own personal highlights in the CAR ASYST APP? Marissa: For me the absolute highlight in the CAR ASYST APP is the area in which measuring can be configured. During development we focused on clear handling and recently we have implemented the verification of applied measurements with a click on the I icon. This is where every user gets an overview of all the settings selected. 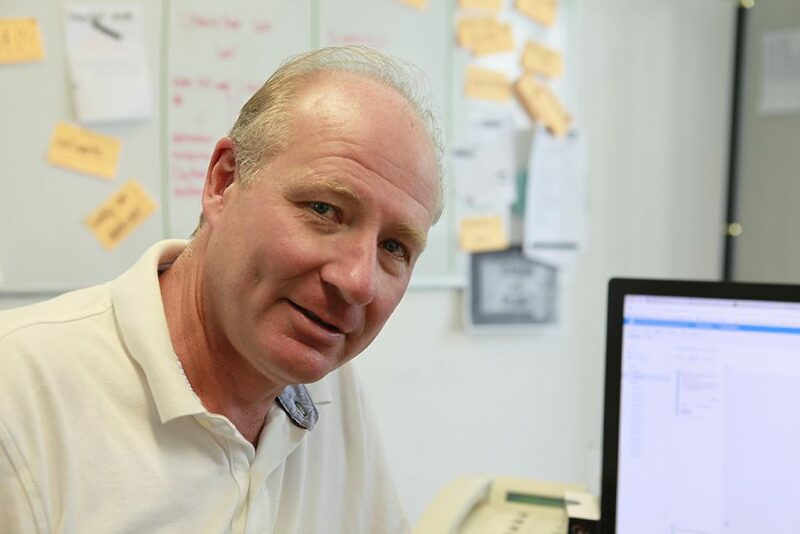 Günter: My personal highlight is the vehicle report. With this function I have all the information I need to determine the status of a vehicle in just a few seconds. 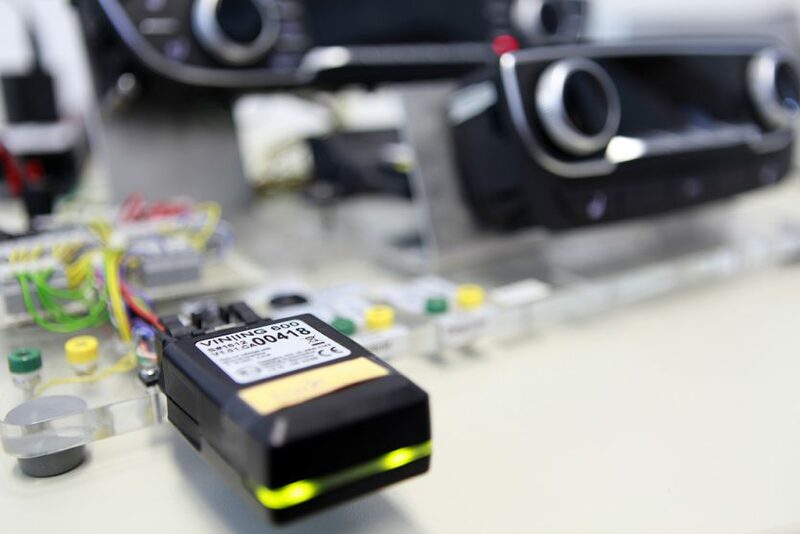 And that does away with time-consuming searches for defective ECUs which naturally saves a lot of time. What extensions and features have you gotten planned for the coming months? Currently we are working on the implementation of functions required when vehicles are serviced, such as replacing the brakes or setting the headlamps. The necessary actions for these tasks in the vehicle will be carried out with just a few clicks. But establishing a connection with the vehicle interface over WiFi-Direct is also something we will be looking at. In this way, the user can use his Internet connection while communicating with the vehicle via the app. Thanks for your time! We are pleased to have been able to present the people “behind the scenes”. We hope you continue to enjoy “good code” in the further development of the CAR ASYST APP!